This is the article that I couldn’t stop myself from writing. With this, the three of them can spread their wings freely in Japan. The 3 years which the three of them had to vainly shunned away was unbelievably long. But the three of them didn’t let it go to waste. And, they didn’t lose the spirit and decided to not be defeated and carried on with that energy, which was because of the solid bond and support that the fans are giving to them. 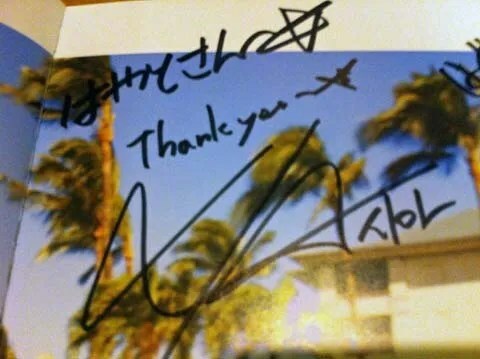 I, would like to sincerely congratulate you (T/N:fans). I haven’t heard the contents, so details will be explained later. 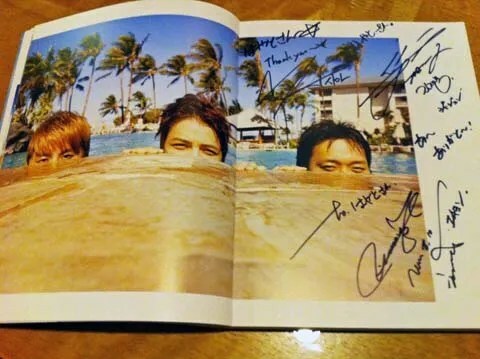 JYJ3 Note: Hayato-san edited and updated his original entry and added additional paragraphs to his post. I came back to Japan late last night and couldn’t fight the sleep monster…. so sorry for writing this only now. I was anticipating Jaejoong getting the Rookie award, but when I woke up, Yuchun got an acting award!! To be sure, Rookie award you get to have only once in a lifetime….?….. To have it twice….. That’s amazing! Today I have high expectation for SBS too. Each award was meaningful in its own way. And, Junsu won the best male actor award this year for musical performance. It’s still so fresh in my mind like he got it only yesterday. Among people who cannot get an award despite being put in a privileged environment, this means that the awards are gained through working even so much harder. Why are there so many tests being given to them to this extent? in grief. He said that he thought he needs to put in his best for the sake of those fans supporting him, his family and C-JeS, as well as his manager. Jaejoong closed his heart for a while too. Because of your support too, they were able to recover superbly. I asked Yuchun on Jaejoong’s acting. These were his first words. When I talked to them….. Was when I went to LA. It was one day before the airing of the last episode. You saw every episode?…. He asked, so I told him that the final episode is airing tomorrow so I haven’t seen that one….He probably wanted me to catch the last episode. Jaejoong has fully immersed into his Gyuntak role, I remember talking to Yuchun about this. I think I will have a chance to write more about this incident in detail some time. And then, this was a year which I was very saddened by a portion of fans making a fuss about C-JeS having neglected Jaejoong. This also led to the boycott of Mahalo. Who was the saddest from this? There is no need to elaborate. There is no doubt that Baek-san is the one supporting these 3 guys. 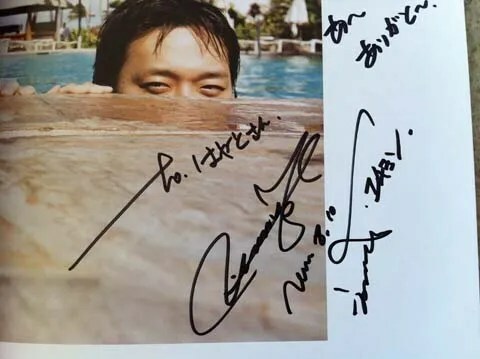 The 3 of them also talked with Baek-san in LA about their future till late at night. I can clearly say that Baek-san and C-JeS are the ones who have supported the guys through such storms these 3 years. Jaejoong and Yuchun who managed to somehow appear active on public TV….. and a place for Junsu to remain active in solo concert, solo album on top of his musicals. It’s unthinkable to have Yuchun doing a drama while overlapping with Jaejoong’s drama. To say…… My Jaejoong is being neglected!!! Its laughable when I think about it now but you should have understood by now that 3 of them are working on their future simultaneously while discussing it with Baek-san. And so, tomorrow will be 2013. It will be a year the 3 of them spread their wings freely as JYJ. They are JYJ…… They must sing together as one next year. I was observing their album production when I was in LA. It is being produced with care and it will take a bit more time before completion but it is definitely progressing forward. The JYJ of 2013, fully ready to go. I wish for a great year for JYJ and everyone from the bottom of my heart. 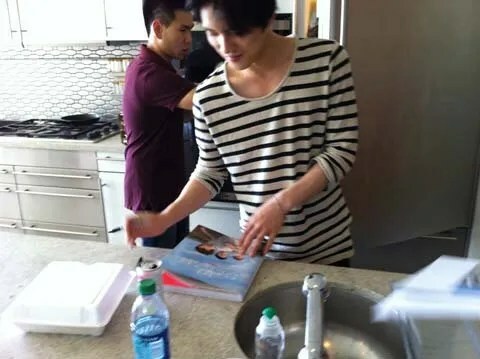 JYJ3 Note: We want to emphasize that this is Hayato-san’s Blog and he is entitled to his own opinions and feelings. Whatever your own feelings or opinions are, please remember to respect Hayato-san’s. Agreement….. It’s difficult to truly grasp the correct meaning of this word at this point of time. Looks like we may have to wait and see for a while more. At this moment I want to stop writing carelessly about this. But I would want to perceive this as something positive. I look forward to the guys spreading their wings flying all over the world however much they like. And so how about Japan?…… Many of you have asked me that…. I take a positive stance to this….. Let me just write this only. JaeJoong, who was so sick from the flu that he couldn’t speak, still appeared in front of his Jakarta fans, even though he was advised by the staffs and the doctor not to go through with the FM. This became one of the anecdotes of how JaeJoong cherishes his fans. I’ve heard that fans sang for him instead. I guess the inconvenient communication through an iPad was in fact an act of affection. And the letter he wrote with his own hand, such touching contents. wanted to hear JaeJoong’s voice and live performances. This is who JaeJoong is. I just hope that he can treat his flu and get some rest. JYJ is a group that is compiled with the talents from JaeJoong, Yuchun and Junsu and will not exist without any of them. this is a year prepared for the coming 2013 (This is not a speculation but a fact). I won’t talk about its content as well. write by talking to myself. relieved when you saw them in 3V2 and felt that you should move forward with them? In that condition, they overcome all obstacles, went across two countries and Hitachinaka city and came to Japan. and also their attitudes and frames of mind towards music. I asked Junsu his thoughts on his solo concerts and solo album and also what is JYJ to him. I’ve also asked JaeJoong and Yuchun about their thoughts on Junsu’s solo concerts and what they thought about having their own solo concerts. Although I’m just talking to myself, I won’t reveal any of this. For them, JYJ is a place like home, where they will always go back to. each other and how they get together without any resentment. I’ve once again felt the strong attachment between them. You should know that it is very important for JYJ that the talented trio to develop their own talents as their solo activities are the fertilizers for JYJ. Don’t you look forward to next year, of JYJ? also what they have prepared for the coming year. But now, I’m worried that they would be hurt by the attacks towards one of them because of some fans’ jealousy. Why did the fans whom they love the most do things that they did not want? We have to support them so that JYJ will not be defeated by those fans. I hereby announce that I will shut the blog down as soon as they can hold activities freely here in Japan. At that time, I can stop being a busybody and I hope you can support them onward. With the thought of the huge wall that they are against, I think that you should know that as fans, what you should do and what not to do. I like him as himself but i also more like him when he spent time together with his beloved brothers (Yoochun and Junsu ). JYJ is my first group who can bring out every feelings that i have in my heart. Before it’s not easy for me to cry or mad over something but after i knew this boys more i became like more humanly. I became so touchy. Even though i already knew about these boys since 2005 but that time i am only a general fans who loves their music and Jaejoong appearance but as times goes by, my feelings to Jaejoong became more stronger after lawsuit came….i started changes from just a normal fans to became a devoted fans to him, to Yoochun and Junsu like now. I never regret and always gonna be proud to be JYJ fans. Hayato-san has now deleted this post. Uploaded photo despite my policy. It is such an affectionate word!!! What is it in Korean? Omoni? “Does he normally call her ‘Kaasan’?” I even had this thought. This natural voice of Yoochun, I was thinking that I definitely want to edit it into 3V3…hm…how did it turn out? “You must include it!! !” I’ll definitely ask them to do so. And then, regarding me calling the genius Junsu as a weird guy, I was scolded and gotten complaints… It’s against my better judgment to use ‘a weird guy’ itself… Indeed, that part does sound quite negative… But it was definitely the other way round; it was my affectionate expression… Always singing… And about that spell-like word he was chanting, I think I will write it down some day (The interaction with him that was very funny), then I think you’ll understand why I called him ‘a weird guy’, but for now, please take the expression in a positive meaning. I’m afraid that someone would write an article about the expression without reading the previous words before that. But, my wife said that it’s because of my fault that I’m being scolded. I fully reflect on the lack of consideration on my part. I will definitely be more attentive in the future. To those who had been hurt, I’m truly sorry. This is a hasty report. About the picture of Jaejoong taken at the airport lounge where he was contemplating about which cup ramen he was gonna eat, it seems the question of “which did he eat?” rose among the public. I told Jaejoong about Saori-san’s story. It’s a sad story, but that’s not my aim of telling him the story. I wanted to tell him about the loop that Saori-san had expended. I received a lot of sad comments. For example…”I’ll support Jaejoong on Saori-san’s behalf”… or “Saori-san, please protect Jaejoong from heaven”. Because of Saori-san, I wanted to tell him that everyone came together and given a message that they’re supporting Jaejoong. In the middle of the story, he had worriedly asked, “Did she get better?” When I informed him that she had passed away, his face became sad. It seems that he heard these kind of stories a lot this year. His face had turned inconsolable. But, this should not only be about a sad story, the thing I wanted him to know is that a lot of people are supporting him and that he’ll be encouraged by that fact. Even I who was talking, carelessly let a tear slipped (Jaejoong pointed that out, I was so uncool), and in the end I told him again that everyone is behind him, Saori-san and me too are also supporting him, it felt great to let him know. Other than that, there’s are other similar stories, but even this, with all one’s might, I should take it in and stop here. I don’t want to burden him so I didn’t tell him more. I’m sorry. Regarding Yoochun’s eyes, I heard from the man himself that they have healed completely. His eyes seem normal and so far as I’ve looked at them, there’s no problem. And then…why did he close his twitter? That…I can’t ask him! *laugh* But, he does seem generally energetic… But I can’t read into the depth of his heart. when i read about JYJ fans story, that time my eyes get teary and you right hayato-san…….there are many people who keep supporting the boys and i also ever knew 1 person who also have same story like Saori and she already pass away too and i believe there are still many people like them….sometimes it’s felt weird but yet so sad in the same time…..all of us almost never meet in the real world, live in many different country, culture,language but when the one of us already gone, it’s felt like we lost someone who very dearly for us. My condolence for Saori-san and for all of the people who knew her also for all of the people who have same life story like Saori-san. It’s okay hayato-san, i am sure Yoochun have his own reason for to do this, even though many fans felt sad of it but we can’t force or prohibit him for do what he think is the right for him and like he said, our love and support for him not only just limited by a twitter world…….our love and support are beyond of that, as long as we thinking about each other and If there’s someone you want to see, then you’re not alone anymore….. The precious item for me is also a precious item for you guys!!! Then when these guys are outside, in front of their eyes, this type of Hollywood Tour Bus passed through. Ah-all of you are thinking am I here? Yup, as you’ve guessed I met with the trio, sorry that I kept it a secret. Why am I meeting them? Well, at this point in time I am unable to write in detail (about it), so let me report little by little. The time of my arrival was close to when they did so I wondered if I could meet them in the airport. But apparently with a different airline the arrival gate would be different. So, I had some light meal and headed toward the residence they are staying this time. It’s situated on a small hill that looks down on LA downtown. 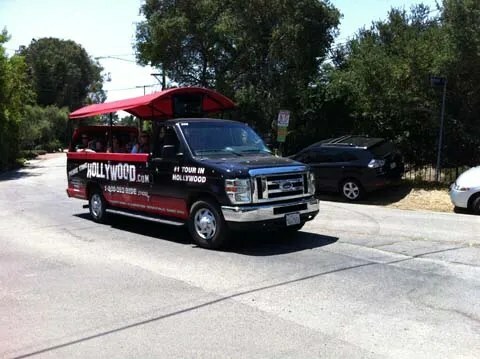 The sort of roofless tourist bus named the Hollywood Tour passed by in front of me. I think it’s the high-end residential area where Hollywood stars live. After greeting the affiliated staffs Junsu came toward me. His hair color was, should I say a bit red… or purple-ish… it was dyed a bit. Seeing me he said as per usual, “Long time no see.” Then he shook my hand. As soon as we saw each other we hugged. “I did… They were awesome…excellent.” I said and (unclear if it’s Jaejoong or Hayato-san)became a bit shy. My impression was Jaejoong got a bit thin. Though he looked well, as you all should be worried I will ask again tomorrow. Until this time I had not had a chance to talk with Yoochun unhurriedly. I thought that next time I meet him I would talk with him about fishing. This wish came true, I am satisfied! Ah, don’t think you’d be interested in talks about fishing so I won’t write it. Ha. … did he mistake me with someone else. He had that mischievous face and I was trolled on, this is where he’s still like a child. Ha. But, the three of them are really close. Even without camera around they are always playing with each other. How to say… I am envious when seeing them. But, I feel like they are now in a very deep sadness…or am I thinking too much? Spreading rumors among fans…hurting each other…What I’m worried about is the change of antis of JYJ fans…Did you all do the same vulgar things those antis did? Why…can’t you fully believe them? read this blog makes me sad. i am not ask other people to love the three like i did because it’s okay if you have a bias but the one thing that always make me sad, angry/ disappointed is people like Acgae fans who love 1 member only but also hate the other members. They spread a bad rumor about the other two and started to create fanwar. Because of this, many people who choose to leave the fandom too. Just because you love only one member then you hate also look down the other members. That’s why Acgae fans is more worse than anti fan. Because their selfishness, they not only hurt the other fans but also they hurt the boys heart. This maybe look so simple but people always forgot about it. Each of member of JYJ have their own weakness and strength but because of these when they are together they are complementary among each other which make them look perfect. So because they are together, JYJ is exist.